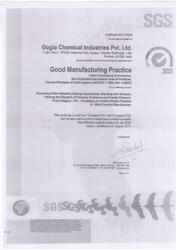 We "Gogia Chemical Industries Private Limited" started the manufacturing, exporting, and wholesaling of Aroma Chemicals, Flavour Emulsions, Powder Food Flavours, Dairy Flavours, Essential Oil and more. The company has a large infrastructure well-equipped with modern amenities. The company is also engaged in the manufacture, exporter, and wholesaler custom/tailor-made products to fulfill the needs of the supporters. Backed by a large warehouse, we provide our customer's products on right time & in the right condition. We had an excellent sales/ marketing team, which is working in a coordinated manner throughout the country from north to south and east to west. Now it is one of the most renowned names in the industry. 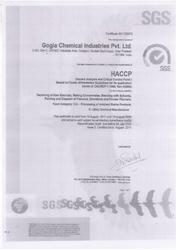 Manufacturing, and Exporter of Flavours, Fragrances and Chemicals. We are now one of the leaders in food flavouring and is associated with quite a large number of industries houses, having a clientele over 2000 in the domestic market, serving all kinds of snack food, beverages, bakeries, confectioneries, fast food, pharmaceuticals etc. Our successful and prominent status in the industry is solely due to the judicious aegis of our mentor Late Mr. H.N. Gogia, who has profound knowledge and expertise in this realm. His effective team management helps our entire team to work in a harmonious fashion. The entire team works as a cohesive whole and helps us in offering credible and reliable services to our global clients. Our procuring agents are adept in procuring the raw material from the reliable and reputed vendors and help in the production of our qualitative range. We take every care in the processing of our food products conforming to the international standards. In fact our entire array is stringently checked by our team of quality controllers who test the raw material as well as the finished range ensuring that the final assortment is of supreme quality and is beneficial to the end users. We are a time-honored organization and constantly strive to satisfy our broad client base all across the globe.